Our business etiquette experts have been facilitating business etiquette courses for almost two decades. Along the way, we’ve seen and heard a lot about what concerns people in the workplace. 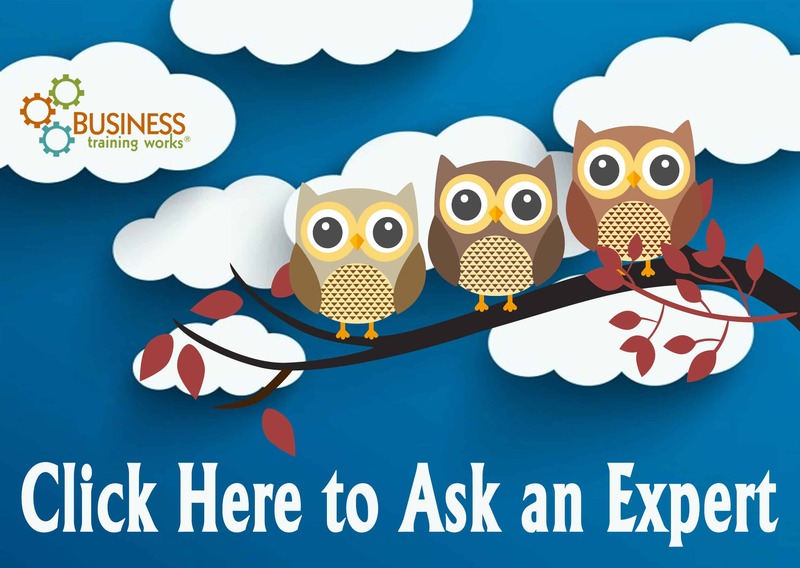 Do you have a question about business etiquette, manners, or office professionalism? Perhaps we can help. Drop us a line, and you may just see the answer to your question here. I have a new employee who has atrocious table manners. Eating with him is unpleasant to say the least. I’m not sure how to address the situation. It’s awkward. Any ideas? Thank you for your note. We appreciate your predicament, and we have ideas that might help. We believe there are two reasons to take action. First, you don’t enjoy eating with this person, and you are probably not alone. Second, he is most likely unaware and needs some coaching in order not to have his behavior limit his business success. You have some choices as to how to proceed. You could take the indirect approach and schedule a dining etiquette course for a group. You could also decide to be forthright and tackle the issue head on. Option two is going to require a special approach. Although it may feel awkward, if delivered with a tone that says, “I want to help,” The feedback should be accepted willingly. Good luck, and we applaud your desire not to ignore the issue. I’m not a hugger or a kisser, but our workplace is full of them. How can I keep myself from being hugged or double-cheek kissed in the office? I just don’t like being that close to people. The best defense is a good offense. As you greet people, extend your hand. The same goes for departures. Most people will follow the lead of the person who initiates. We hope these suggestions help you keep the huggers at bay. Let us know how it goes. Members of our team have gotten into a habit of multitasking during meetings. Many of them are on their phones during our project updates. These meetings last about three hours every Thursday. I think it’s beyond rude to me and to everyone else in the room. Is there a solution, or is this just my new normal? I know I’m kind of old school. These people are my peers. I am not in charge. Nobody likes to be ignored or disrespected, and we certainly appreciate your situation. Let’s hope that your coworkers intent and impact are not congruent. In other words, let’s assume people don’t realize they’re being rude and they’re not trying to be disrespectful. Once you adopt that frame of mind, moving forward should be a little easier. Let’s talk about how. the reasons your meetings last three hours. That’s a long time to focus. the composition of the agenda. Are there better ways to share information? the business reason multitasking is a problem. the rules of your meetings. Were they ever stated and agreed to by the attendees? the reason people feel they must answer their calls or check their emails. Are they in critical positions? Does your culture demand immediate response? Chances are you’re not the only one who sees there is a problem. Most people are not intentionally rude to their teammates. When they are, it’s usually because they’re not following the same rules or protocols you adhere to. Getting your team on the same page should help. Our office hosts an expensive gift exchange and lunch each year. I’m on a very limited budget, and I can’t afford to participate. I don’t want to share this information with my coworkers. However, I also don’t want to look like a Scrooge. What can I do to get out of the activity and still appear to be a team player? We feel for you. When your budget is stretched, additional stress certainly doesn’t help. There are a few options you might want to consider. First, you might want to thing about giving your time instead of money. If you have a special talent, that may be something in which others see value. For example, we know a fellow who is a talented harpist. He gave two hours of his time for a party a colleague hosted. While you probably don’t play the harp, maybe you can babysit, weed, or do something else people need done. Second, if you have any input into the activity, perhaps you can suggest changes to what is gifted. For instance, what if everything given were a baked good instead of an expensive gift? My desk is in a very busy area, and people often stop by to chat. I’m a pretty social person, but it’s getting ridiculous, I can’t get my work done. The last thing I want to do is earn a reputation as a do-nothing or a talker. I love my job. It sounds as if people like you. That’s the good news. As to your problem, there are a few actions you can take that should help reduce the length of time people spend visiting with you. First, remove anything that may encourage visitors. For example, if you have a candy jar, tuck it away. If you have an empty chair, remove it. If that’s not possible, put something in it. Second, when people do stop by, stand up. Next, engage in a brief dialogue. When you sit down, they should leave. If those options don’t do enough to reduce the traffic, you still have a tool or two you can use. Tool one: Set an end time for talking at the beginning of the visit. For example, “Samantha, it’s so good to see you this morning. I’m buried in work, and I could use a 60-second break. How are you?” Because you state the end time before the start of the conversation, it should be relatively easy to stop the visit short. If those ideas don’t work, consider requesting a move. I’m very upset. I went to the grocery store at lunch to pick up some supplies for a weekend barbeque. When I got back to the office, I stored the frozen items in the company refrigerator. When I went to get them at the end of the day, a large pack of burgers was completely missing in action. It makes me sick to think one of my coworkers is a thief. I also want to be paid for my items. I’m angry and upset, and I don’t really know how to address the problem. It never feels good to be taken advantage of or to have your trust violated. You have every right to be upset and angry. The question is what to do about it. You have several choices. Choice three: You can be direct. Again, you can put a note on the door. “Burgers I stored in the freezer were taken yesterday. I’ve attached a copy of the receipt. Please reimburse me if you took them. Choice four: Take it to a higher authority. Obviously, there are lots of ways you can address to handle the situation. We’ve only suggested four. The thing to keep in mind is that you have choices and are in control of what happens next. Whatever you choose will also have consequences. We recommend you think about how you wish to be viewed after you deal with the incident and let that vision guide your decision making. In other words, your reputation is worth more than a box of ground beef. Think long and hard before you act in any way that could have long-term negative effects.